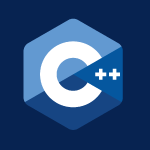 I continue teaching C++ through problem solving. In this video I cover conditional operators, logical operators, if, else, arrays, vectors, converting strings into vectors, string stream, while loops, for loops and more. I’ll also present 2 problems for you to solve, which I’ll then provide the answer to. I think learning through doing is the best and the problems will keep getting more complex. The code follows the video below to help. // If age 5 "Go to Kindergarten"
// If age > 17 "Go to college"